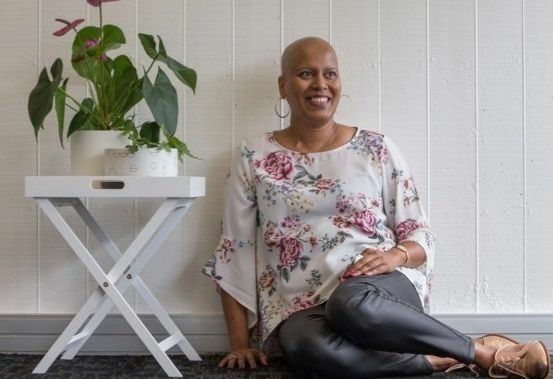 Mum-of-two Elaine Kuri’s world changed in a day when a check up for a sore muscle was diagnosed as stage 3 breast cancer, and further tests revealed stage 3 lymph node cancer too. Quickly this successful businesswoman’s life went from senior exec meetings to hospital appointments, and the once vibrant manager became a cancer patient who was merely existing. “I had to shave off my long hair, so I didn’t even look like me anymore. The Look Good Feel Better workshop gave me my confidence and independence back,” the 44 year old says. “Being able to now draw my eyebrows and feel confident and have a smile on my face again – even though I was going through crap - made such a big difference. “I might be feeling really horrible inside and I have got another chemo session and I visualise all of the side effects I am going to go through for the next few days, and the thought that I might be in hospital again. The class was an appointment she looked forward to, one that wasn’t yet another medical treatment or check up. And, very soon into the class, Elaine says, there was a palpable shift with the women initially sharing details of their cancer, and treatment. Then as they had their make up applied the conversation turned to how nice they looked, and admiring the colours in the make up. “Suddenly the conversation was normal conversation, we were normal women even though we had the bond of cancer.